A collection of useful resources when covering BySide, our solutions and achievements. Reach us at press@byside.com for more! Just a few years after their London opening, BySide is now inaugurating their new office in Mexico City, the first outside Europe. After the first international opening in Madrid, in 2010, BySide announces the brand’s new branch in the United Kingdom. 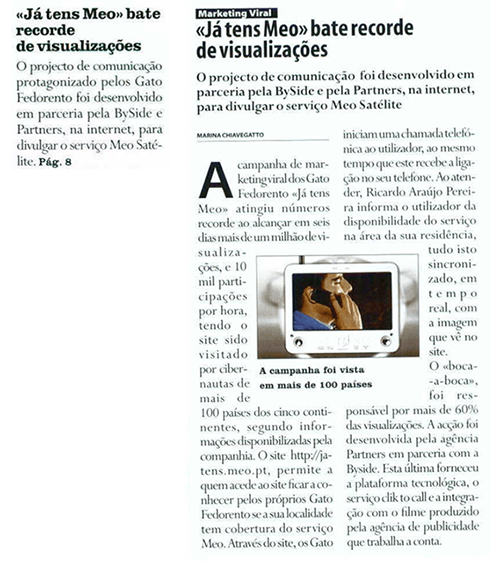 BySide won the EDPartners award in “Customer Relationship” category. Looking to innovate in the customer service field, MEO has released a free video call service on their website in partnership with digital marketing company BySide: MEO Video2Call. Gartner’s Cool Vendor report identifies companies that excel in terms of innovation and impact. Deloitte’s ranking identifies the technology companies with the highest growth rates in the last five years. 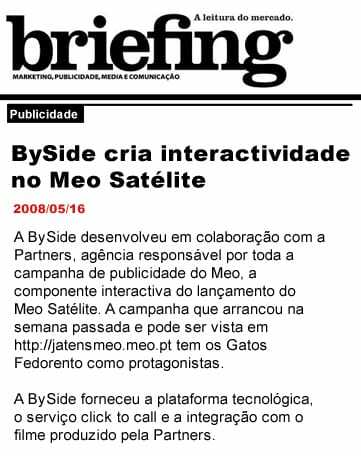 BySide vence Prémio EDP Partners, categoria "Relação com o cliente"